If you and your spouse own a home together, deciding what to do with it can be one of the main issues of your divorce. When a marriage ends, the parties go their separate ways -- often with diminished financial resources. For many, this means the marital home must be sold. An assumption loan allows one spouse to take over the existing mortgage under the original terms. 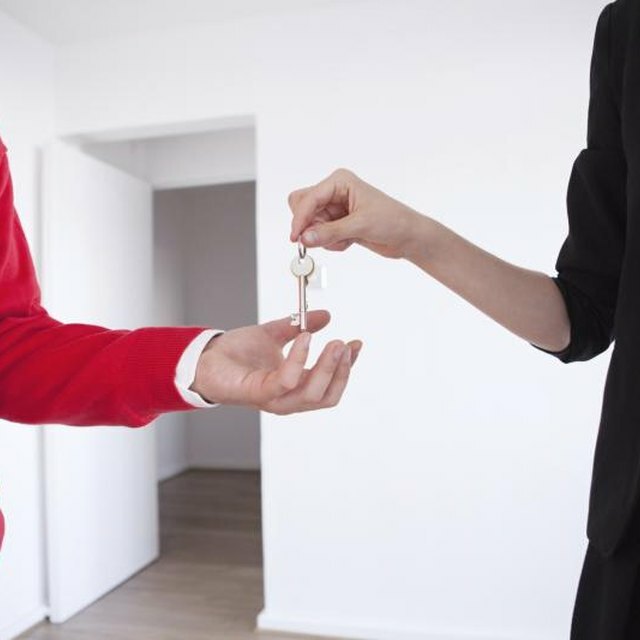 If you and your ex are fortunate enough to consider the possibility of one spouse keeping the house, an assumption can be an economical, relatively hassle-free option. As long as you and your ex-spouse are in agreement, you can assume the mortgage after your divorce. No matter what you end up doing with the house, it's a good idea to get it in writing. Your separation agreement should include a detailed explanation of how you're handling the house. A separation agreement -- or settlement agreement -- is a contract between both sides in a divorce that divides assets and debts. It can't bind third parties, though, so your mortgage lender doesn't have to honor the agreement. If you signed the mortgage as a couple, you're both still responsible for the loan. If you want one party to be completely free of the obligation, you need to go one step further and remove his name from the mortgage. Assumption loans can be difficult to get, which makes them less common than simply refinancing. For one thing, not all mortgages are assumable. Check with your lender to determine if assumption is an option. Also think about whether you can afford the current mortgage payments on one income. Refinancing might come with less favorable terms or a higher interest rate, but it might be the only option you can comfortably afford. The fees for an assumption are usually less than refinancing, so it's a good deal if your budget can handle it. If you have an FHA or VA loan, you're in luck. Old FHA and VA loans are assumable by anyone, which puts you at an advantage if you decide to sell down the road. If you closed on your FHA loan before December 14, 1989, or a VA loan before March 1, 1988, a new borrower can step into your original terms without even qualifying. Loans that closed after those dates are still assumable, but the person taking it over has to qualify. Costs for assumption loans vary, but they're usually much more affordable than starting from scratch and obtaining a new mortgage. Lenders who sell FHA loans can charge $500. The VA charges $300 total plus a small funding fee based on a percentage of the loan's balance. Also factor in the cost of having a new deed prepared, as your spouse's name must be removed from the title if you purchased the home under both names. The Mortgage Insider: What Are Assumable Mortgages, And How Can You Get One? Investopedia: What is an Assumable Mortgage?